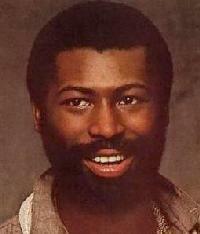 *Perhaps it’s fitting that music critics often characterized the fervid baritone of soul music icon Teddy Pendergrass, who died from colon cancer on Wednesday at 59, as having the metaphoric power of an earthquake — rumbling, potent, vital. Two days ago, a catastrophic earthquake struck the island nation of Haiti, leaving in its wake incomprehensible tragedy mingled with everyday stories of heroic acts of courage. Pendergrass, whose mainstream commercial career declined in the aftermath of a 1982 spinal cord injury resulting from an automobile accident, spent the last two decades living out his own version of resilience in the face of tragedy. His life was a whirlwind of philanthropic initiatives, passionate promotion of rhythm and blues and determined refusal to let paralysis stop him from performing and recording. Get MORE of this LA Times article by Jason King, HERE.